b. Have at least 1 side “clear” enough to see through in order to observe the bug; although multiple clear sides is better as bugs tend to be active and fast! 2. 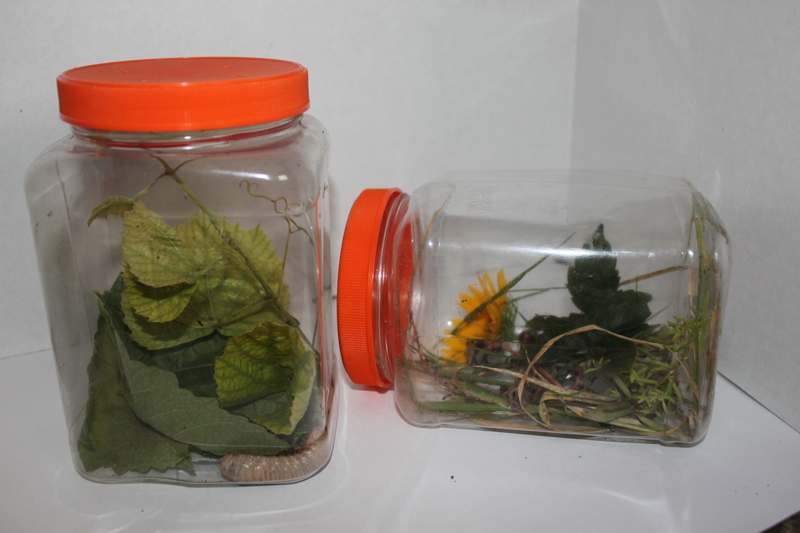 To make a cheap Observation Station, you can reuse any clear plastic container with a large opening. 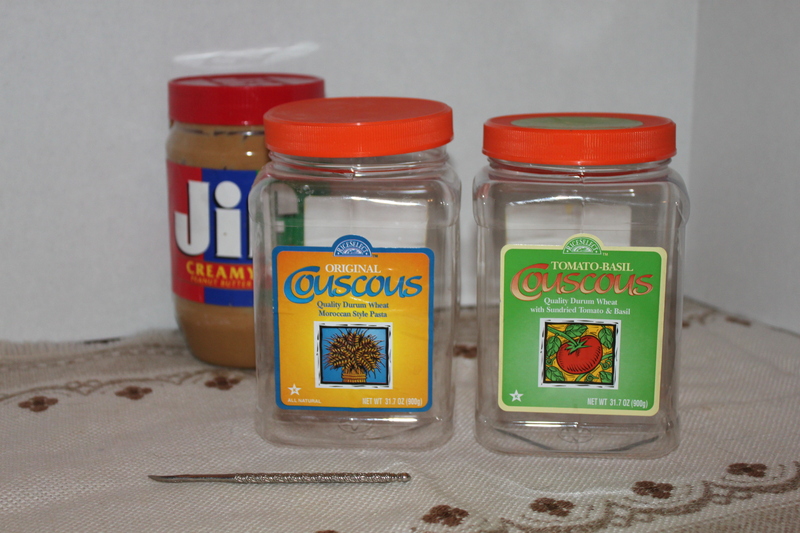 The square shaped containers – such as bulk peanuts or couscous containers – are the best. The straight sides are easier to take pictures through compared to curved bottles. However, if all you have is a curved plastic bottle you can still start with that (as long as the opening is big enough)! 3. Completely empty the container and clean thoroughly with mild dish soap if necessary. Remove any stickers or packaging labels. 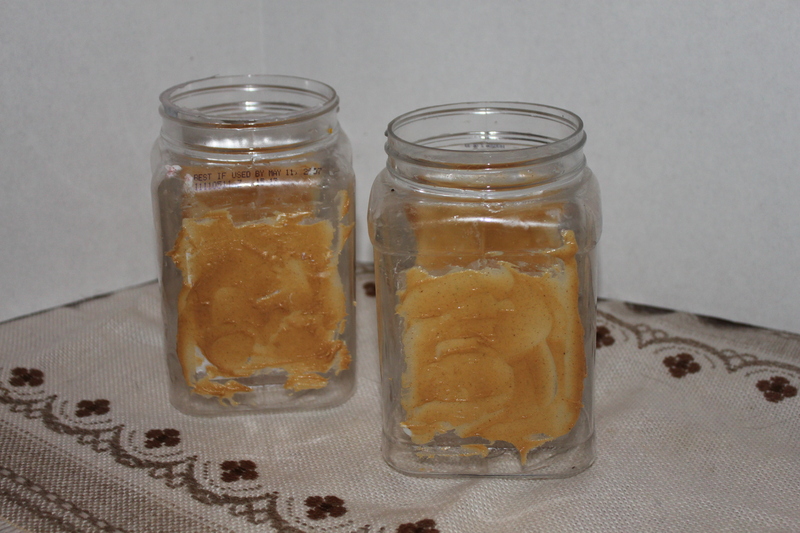 I use a small amount of peanut butter to remove the sticky residue that can remain. 4. 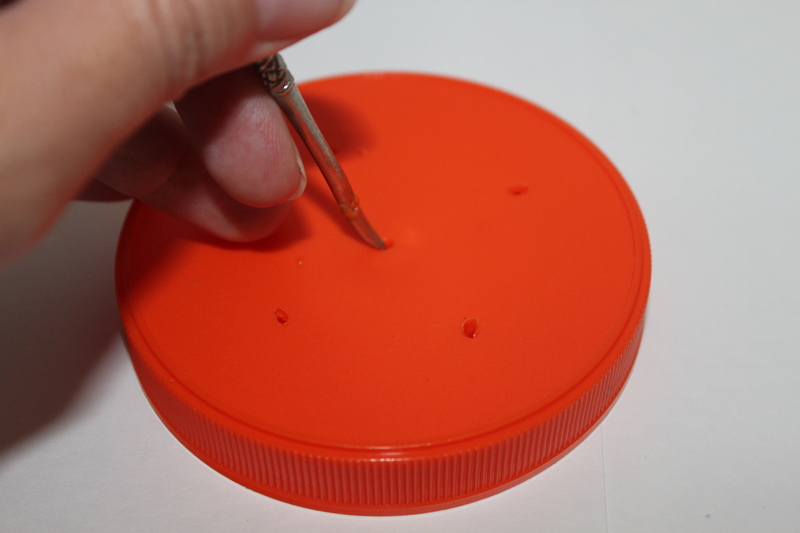 Using a small screwdriver or nut pick (or any other small, sturdy, semi-sharp tool) poke several small holes in the lid. I find it easiest to heat the end of the metal tool over the stove – it cuts through plastic with so much less effort! You will need several small air holes to allow sufficient air for your bug. 5. You are now ready to go bug hunting! Depending on the insect, I like to put a leaf or twig in the Observation Station to encourage our bugs to remain active or find shelter. 6. If you can properly identify your bug, you may choose to keep it for several days to make observations about it. Please do this only if you can meet all the needs of the creature: food, water, shelter, etc. 7. NOTE: while there are only a few types of dangerous bugs (spiders, for example), there are a lot of other bugs that can carry a painful bite. If at all possible, identify your bug before you try to capture it. Use common sense – if you cannot easily capture a bug without putting yourself in potential harm’s way, then please don’t attempt to capture. Use a camera from a safe distance. b. We always relocate (rescue) the bugs we have observed. 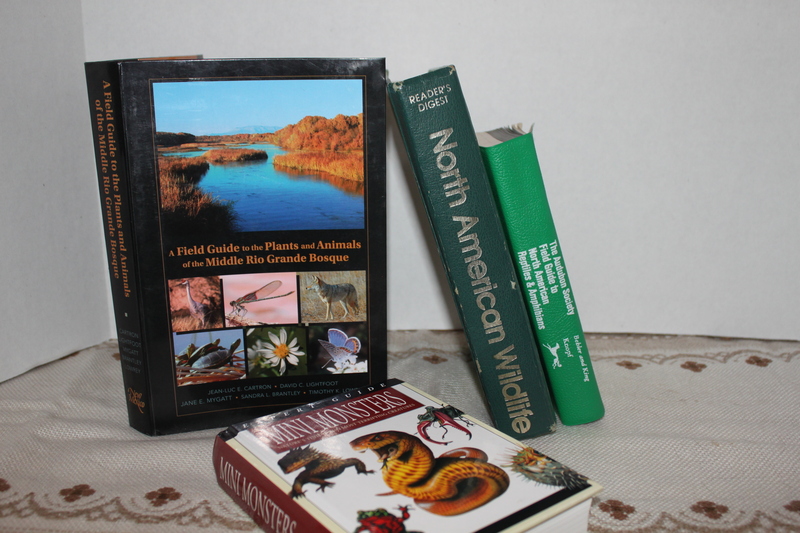 A sample of our collection of identification books. We have a bookshelf dedicated to identification books: rocks, birds, flowers/plants, reptiles and amphibians, fossils, etc. The boys know how to get the bug-specific books off the shelf and look through pictures to try to identify a new bug before it is mom’s turn. Ta-da! Observation Station ready to go! Time for a walk, no?! *Marta works as a geologist in New Mexico as well as a homeschool mama, and she channels her passion of science and nature into high quality learning tools for children, including two sweet boys of her own. 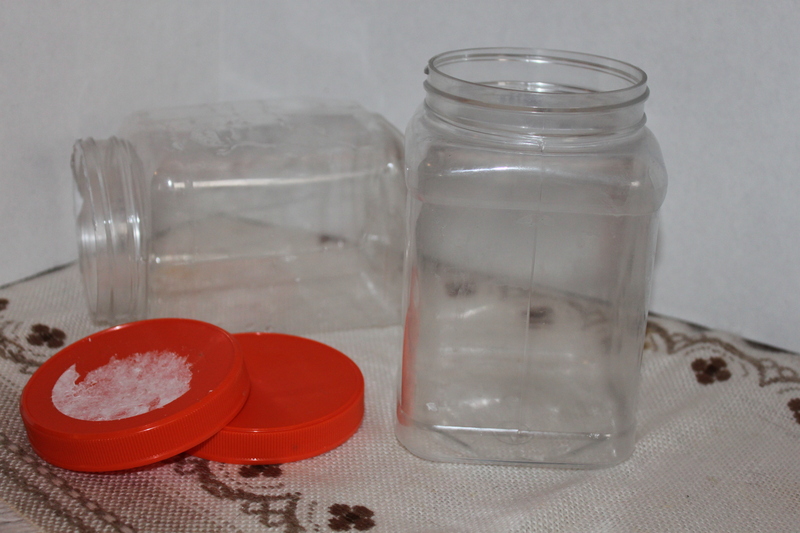 If you choose not to make your own containers, they are available at places such as camping stores, amazon, as well as shops such as book stores and dollar stores during the summer. 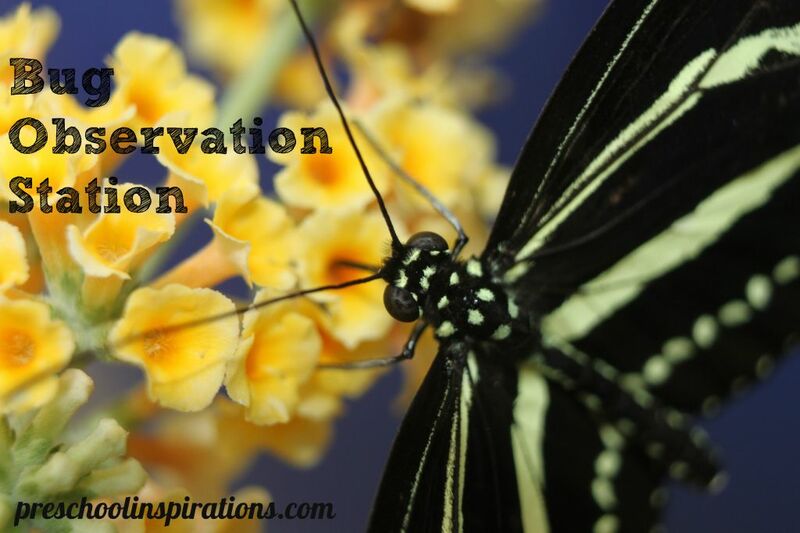 Having a station is such a lovely invitation to learn! Love it! 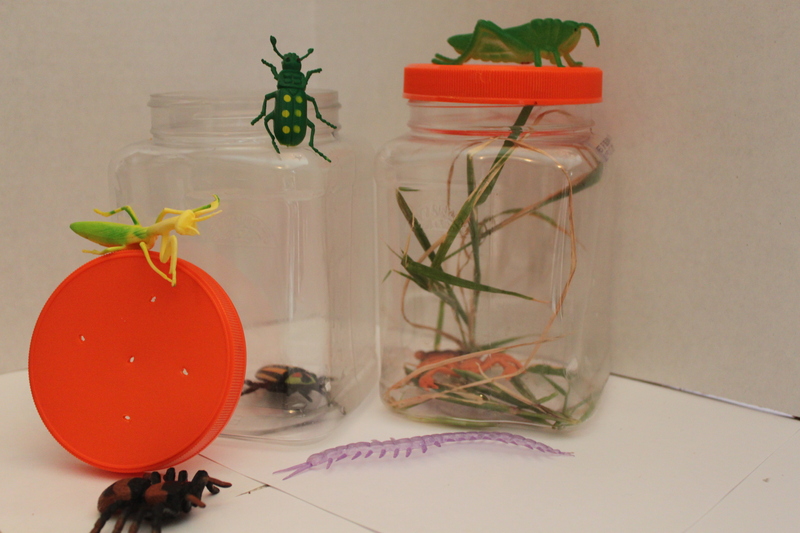 We are crazy about bugs over here…and Marta’s place is like bug heaven!! Thanks for the wonderful comment :).